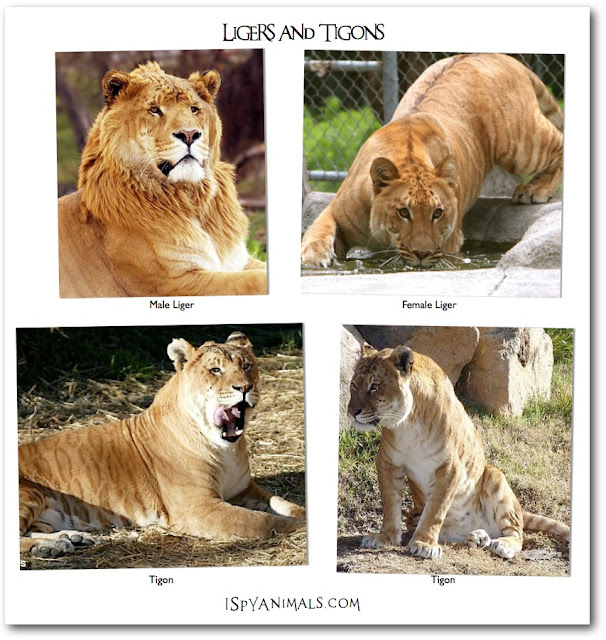 I Spy Animals: Ligers, Tigons, and Bears, oh my! 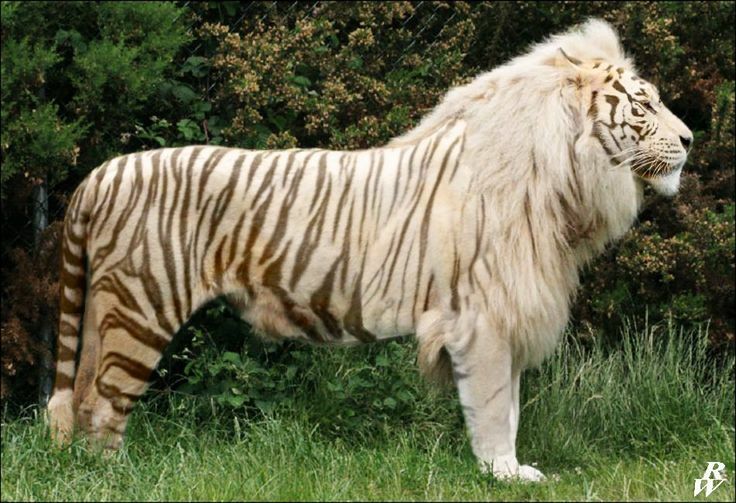 The liger and the tigon are half tiger and half lion. But to be a liger the mother has to be a tiger and the father has to be a lion. The opposite is true of the tigon. Actually, there’s a BIG difference. And that difference includes size! You remember that the largest big cat is the tiger, right? Well, a large tiger can weigh about 750 lbs. A liger can weigh 1000 lbs. Take a look at Hercules, above. The liger is the biggest big cat of all! The tigon is more like a tiger in size and coloration. But there’s more. The cubs of a tigon crossed with a tiger are known as ti-tigons. and and a lion/tigon cross is a li-tigon! Want to know more? Here’s a great link to ti-tigons and li-ligers!